Rachel is a dance writer from Birmingham, Alabama. She enjoys taking ballet classes, reading about dance, and attending live performances of ballet and classical music. From marriage to career transitions to injuries, our 2018 cover stars have had a busy year. Find out what they've been up to since they graced the cover of Pointe and what they're aiming for in 2019. My New Year's resolutions are to complete my Associate of Science degree, sleep more, and slow down from time to time to appreciate the little things in life. 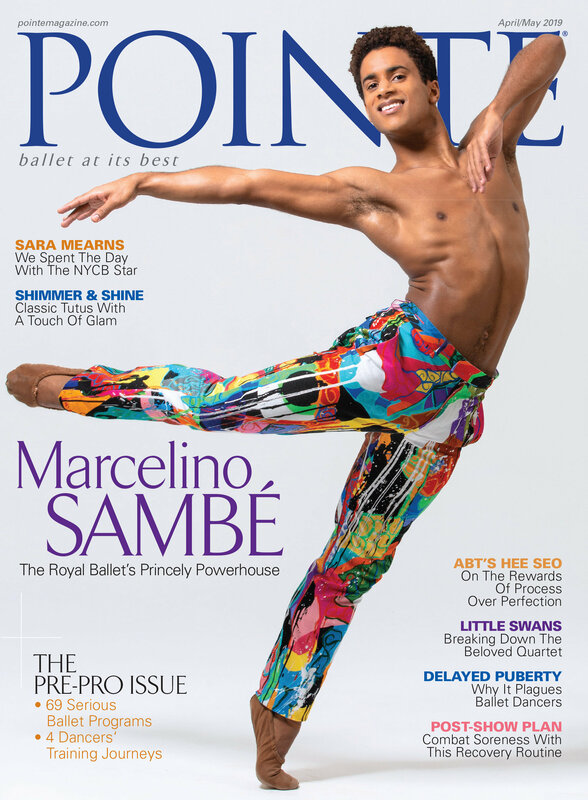 Since appearing on Pointe's cover, I performed in the New York Ballet Stars Gala in Cape Town, South Africa in honor of Mignon Furman. I also performed in a very exciting Balanchine Tribute Festival at City Center with American Ballet Theatre alongside Joffrey Ballet, The Mariinsky Ballet, Miami City Ballet, New York City Ballet, Paris Opera Ballet, The Royal Ballet and San Francisco Ballet. McBride also recently got engaged to longtime boyfriend and former ABT dancer Simon Wexler. You can read our February/March 2018 cover story on Betsy McBride here.